The San Diego region is ideally positioned to capitalize on the ever-growing global demand for cybersecurity products and services. San Diego’s entrepreneurial environment has fostered startups to multinational companies in cybersecurity, software development, information technology, communications and defense. The ecosystem includes incubators, financiers, experienced service providers and non-profits that support more than 150 firms focused exclusively on cybersecurity. In addition, the proximity of research and development facilities to Northern Mexico’s manufacturing hubs allows for the development of quick-to-market products. Industry leaders, Qualcomm, ESET, ViaSat, iboss and Northrop Grumman are proud to call San Diego home. San Diego’s universities and colleges annually graduate 3,200 students in the computer science and engineering fields and recently launched two new cybersecurity masters programs at University of San Diego and California State University San Marcos. They also support cutting-edge research through resources like the Super Computing Center at UC San Diego and the Advanced Computing Environments Laboratory at San Diego State University. San Diego’s universities annually receive $1 billion in philanthropic and federal funding for research and development projects. 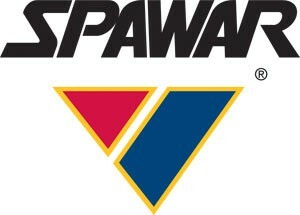 San Diego is home to the Navy’s Space & Naval Warfare Systems Command (SPAWAR). SPAWAR directly employs nearly half of all the cyber security jobs in San Diego (>3,500) and its presence in San Diego is a huge contributing factor for many cyber companies to remain located in San Diego. SPAWAR’s total budget for 2018 was $7.4 billion, of which $5.5 billion was set aside for private industry contracts, including $1.5 billion for the San Diego region. By drawing on all these resources and bringing them together in a focused, unified effort, the CCOE is here to ensure that San Diego takes full advantage of the economic opportunity before us.